I had been discussing a balance bike for kiddo #2 with B for quite some time now. I was also wondering if I could simply remove the cranks and wheels from kiddo #1’s bike and create the same thing. 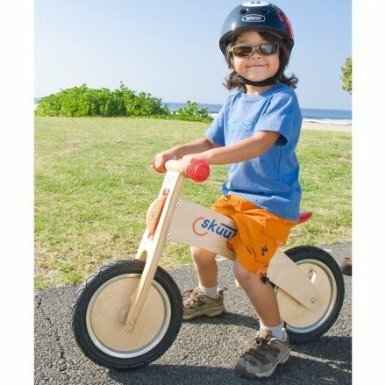 If you are not familiar with the balance bike. It is basically a small bike, sometimes made of wood, that has no pedals. Kids get used to “gliding” and then this creates the balance needed to ride a bike with pedals. Low and behold that very same 24 hours that I was talking about this I went to Minneapolis on a business trip and saw this spot from Minnesota CBS news. Way to small a world.